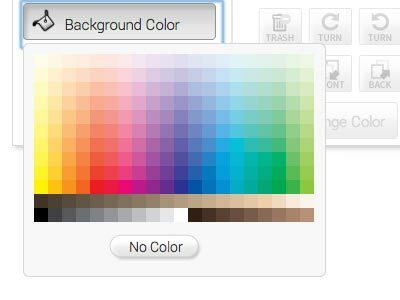 Quick tip: Click on “Background Color” and select your preferred color. This feature will only control the color of the sticker background. If you upload an image that already has a white background, the Background Color function will not alter your image at all. Don’t want any color? Choose “No color”. This will remove any color (including white) from the sticker. As before, it will not change or remove any color from the image that was uploaded. Watch a video tutorial explaining how to use the eyedropper button to fill your background here.